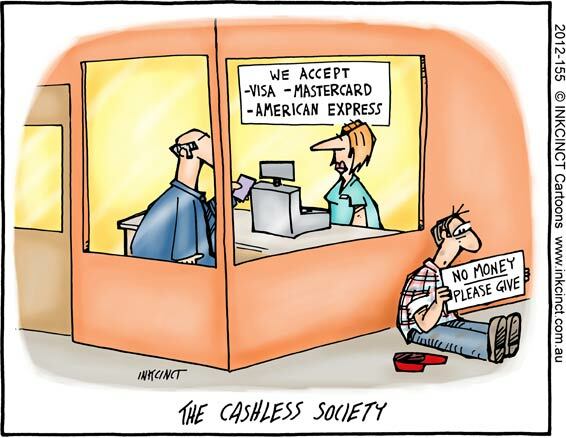 We are now moving rapidly towards cashless society where every transaction made using only “1” and “0”. This is a bankers and government dream come true. Bankers will able to literally “print” money by stroke of a button and government will able to monitor every monetary transaction of its citizen. Government and bankers are 2 entity but sharing the same objectives. They know people need to use money to do transactions unlike barter economy where government and banks were completely out of the loop. Tax will be easily collected and identified and you will not able to run since government can estimate how much you worth from the transaction that you made. Maybank deputy president and head, community financial services Lim Hong Tat said on Wednesday the bank targeted to issue 10,000 cards within the next 12 months through this joint venture. He said this would further strengthen its prepaid card segment which was relatively new. Lim said there was a potential for a double-digit growth in the prepaid card segment in the next three to four years. He added that the growth in the card segment is in line to become a cashless society and that different cards would cater to the needs of different customers.